After learning that Kobra has pitted several government agencies against one another, the leaders of each agency join forces to oppose the cult leader. The President appoints Sarge Steel to take charge of the operation. 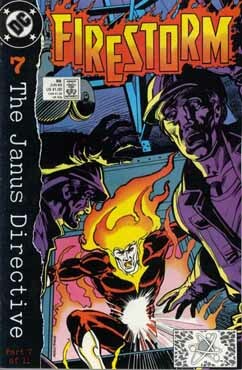 Steel divides the resources, consisting of the Checkmate, the Suicide Squad, Firestorm, Captain Atom, Major Force, and Peacemaker into three units. First Firestorm and Captain Atom force Kobra spaceark from orbit, then a second unit consisting of Checkmate and Suicide Squad members board the ship. 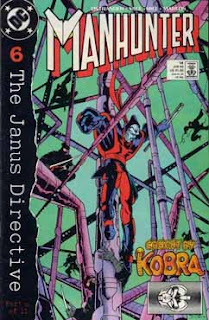 From inside, Manhunter works to free the hostages held by Kobra, including Dr. Megala. 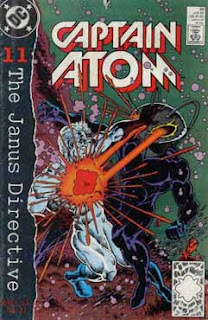 During the attack, Kobra is angered and decides to utilize his microwave weapon to defeat his foes. 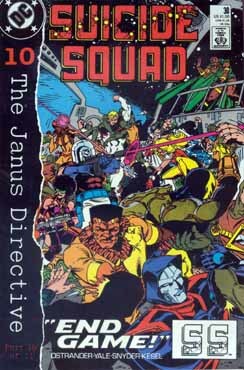 The combined forces of Checkmate, the Suicide Squad, Project Atom, and several other heroes assault the space ark of Kobra. Inside, the teams find Manhunter who had infiltrated Kobra's ninja army. During the battle Silent Majority and Lady Liberty are both killed. Kobra tries to escape, but Manhunter stops him. In the aftermath, the President reorganizes the intelligence community. Sarge Steel, head of the CBI, is appointed as an overseers. Wade Eiling, head of Project Atom, now reports directly to Steel. Harry Stein retains control of Checkmate which is now independent of Task Force X which has been resolved. 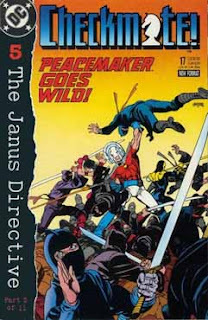 Peacemaker is assigned to Checkmate. Major Victory is assigned to the Suicide Squad which continues under Amanda Waller's leadership. Then, look for Head Speaks,where In February, I've started my multi-episode look at Armageddon 2001 where I have guests from the internet and podcasting world join me every episode. Finally, be sure to return next month and listen as I talk about Suicide Squad and Checkmate. And coming next month.... The conclusion of The Janus Directive. First I introduce my special guest, The Irresponsible..err The Irredeemable Shag. 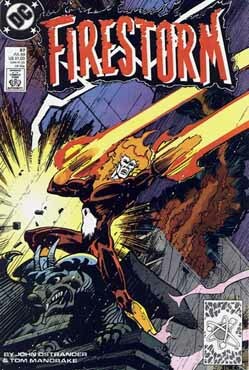 Shag talks about himself a little (a subject matter he loves and is an expert at) and about Firestorm's history. 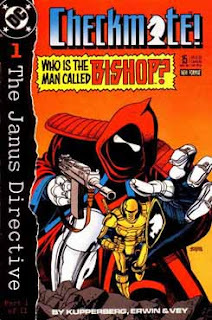 Once I can get a word in edgewise, we actually look at the issue in question (with no Ninja counting from me). Parasite next appears in Starman 13, which I covered in Starman/Manhunter Adventure Hour 17 (From July). He last appeared in Firestorm 82 (concluding story from Invasion), and then before that was back during the Suicide Squad/Firestorm crossover we covered back in Episode 12 (all issues covered somewhere on The Headcast Network). 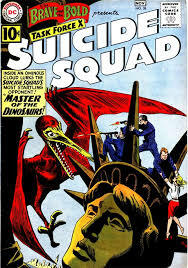 Finally, be sure to return next month and listen as I talk about Suicide Squad and Checkmate. And coming next month.... The next part of The Janus Directive. 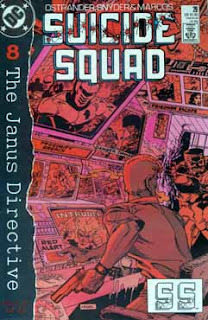 Checkmate 18 and Suicide Squad 29. First up, is Checkmate 17! Title: "A Hard Day's Knight"
The following week, look for G.I. Joe: A Real American Headcast the first week of the month, where we look at G.I. 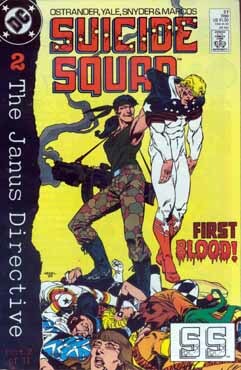 Joe: A Real American Hero comic from Marvel. This month we start our look at the crossover, The Janus Directive. 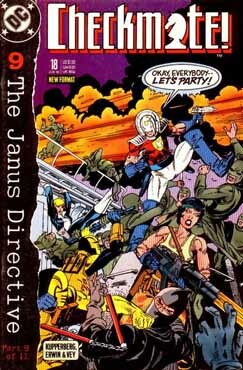 And to hear me talk about this issue with the group over at Longbox Crusade, check out Episode 14 which was released Feb 22 2018. 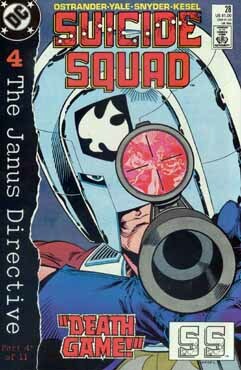 Finally, be sure to return next month and listen as I talk about Suicide Squad and Checkmate. And coming next month.... 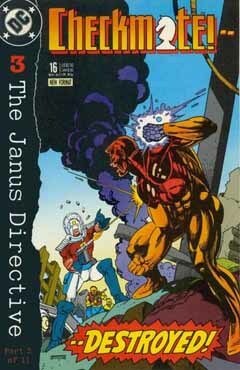 The next part of The Janus Directive.